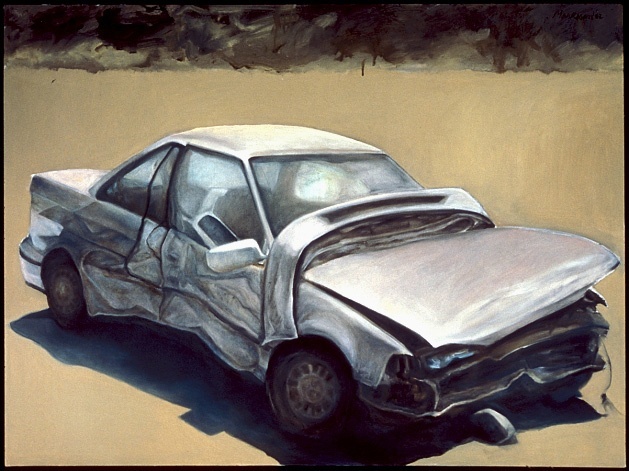 This is a very emotional painting of my poor little car who I felt had heroically sacrificed its life to save me. This painting is slightly damaged at the very top of the painting where about an inch or two of the some of the paint has come off. It is not very noticeable or I can restore it.